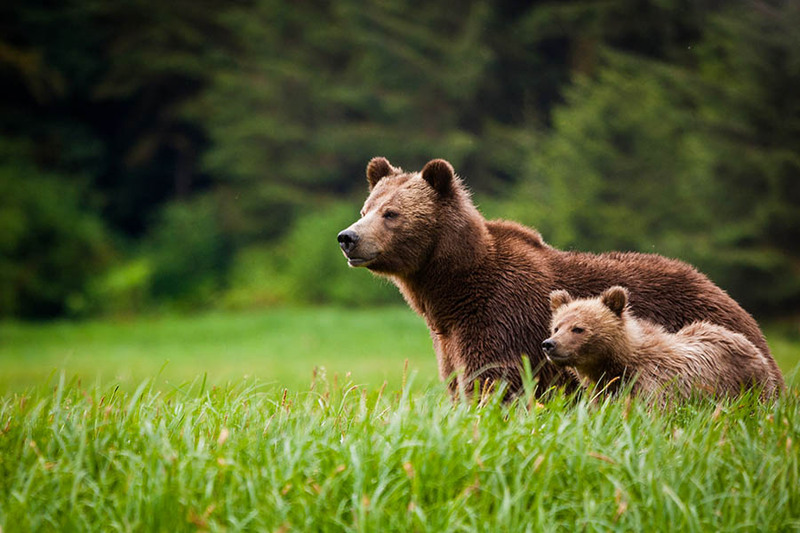 We'll recommend the best sights to see! This relaxed, 3-week New Zealand family holiday combines both islands for an all-over New Zealand adventure. Spend 10 days exploring the South Island’s mountains, lakes, glaciers and wildlife with your campervan, then fly to the North Island for a self-drive tour by car, staying in some excellent family-friendly accommodation. Your holiday begins in Christchurch where you will collect your 4-berth campervan. 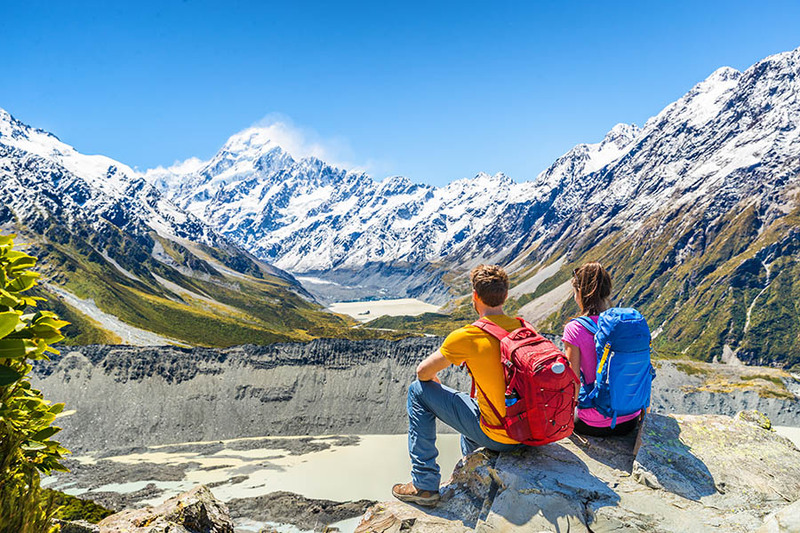 You have 10 days to explore the South Island, home to glacial valleys, world-famous wineries and snow-capped peaks, you have the freedom to go where the whim takes you, we can help you put together an itinerary or you can decide as you travel! 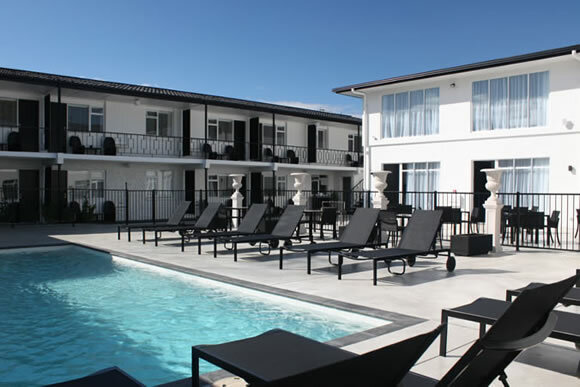 The second half of your trip takes in the North Island so for this section, we have provided car hire and accommodation so you get to experience the world-renowned New Zealand hospitality. The North Island is packed full of things to do, from Maori cultural feasts to glow worm caves, and for the Lord of the Rings fans, you can even include a trip to Hobbiton! This itinerary can be tailored to suit your requirements, please contact one of our consultants to start planning your dream trip. 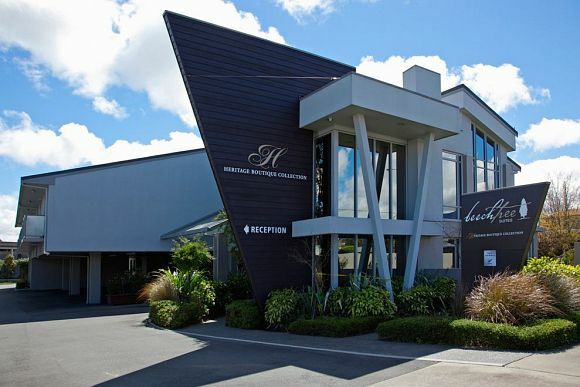 To give you time to catch up on your sleep after such a long flight, we’ve included one night at a hotel near Christchurch airport, before you collect your campervan the next day. We’ve included 10 days’ campervan hire to take you from Christchurch to Queenstown in the South Island. We’ve based this itinerary on a 4 berth campervan, but would recommend upgrading to a 6 berth if your budget allows for the extra space and comfort. 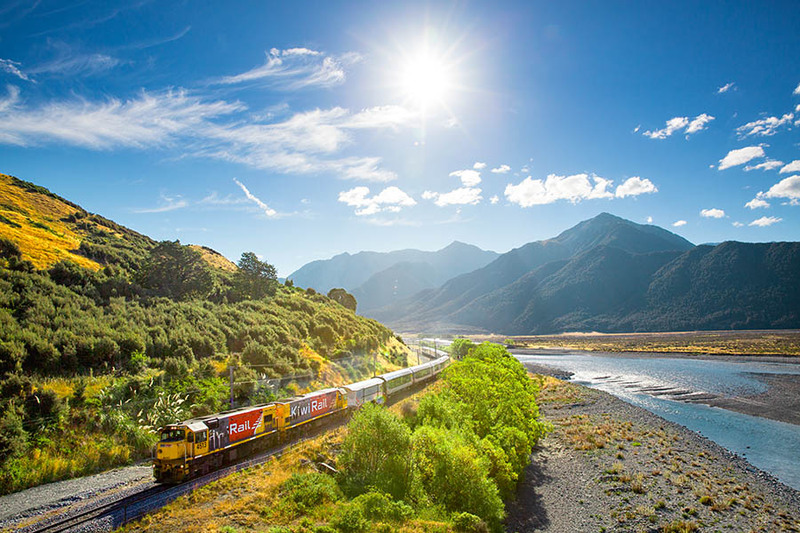 The South Island is yours to explore – we would be happy to suggest an itinerary for you, and can also pre-book powered sites where you can overnight, or supply open-dated vouchers. Wildlife enthusiasts will enjoy the East Coast towns of Oamaru and Dunedin for Blue Penguins, fur seals and native birds. Today you’ll drop off the campervan and fly over to Wellington in the North Island. 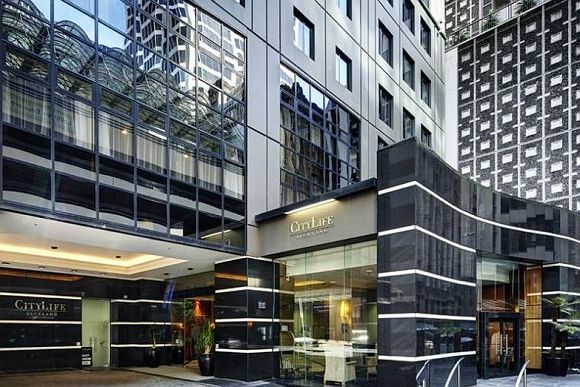 We’ve included 2 nights here – it’s a cool capital city, and very compact so everything is close by. We’d recommend a visit to Te Papa – the national museum of New Zealand –and it's free! If the family are fans of the Hobbit and Lord of the Rings, a visit to the Weta Workshop is highly recommended, as well as a tour of the local filming locations. We’ve arranged for you to pick up your hire car on your second day here. Head north to the centre of the North Island. You’ll immediately understand why the region was chosen as the backdrop for the Lord of the Rings trilogy; the park’s three dormant volcanoes, immortalized in the films, rise high above the clear waters of Lake Taupo. There’s a range of hiking and touring options to explore this stunning location. The Tongariro Crossing is regarded as one of the best one-day walks in the world. 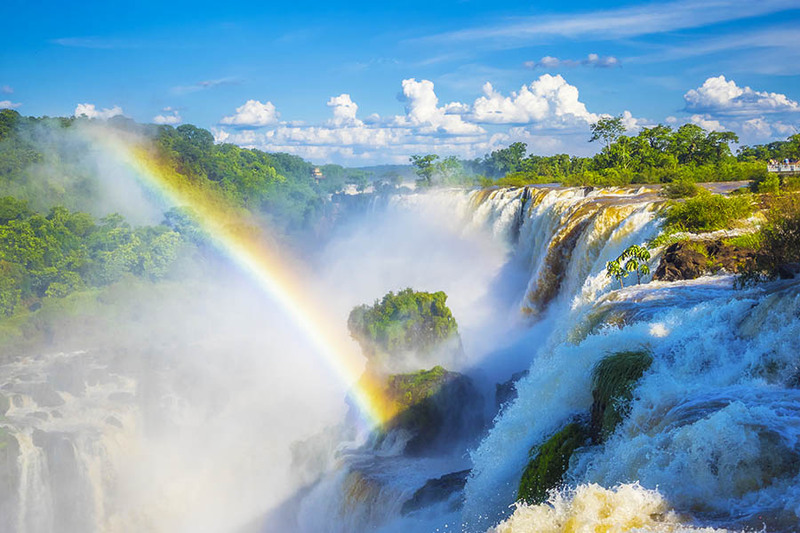 Make your way to Taupo today, home to the largest lake in New Zealand and located just south of one of New Zealand’s premier tourist spots, Huka Falls, where more than 220,000 litres of water thunder over the cliff face every second. The city of Rotorua sits on the Pacific Ring of Fire, so there’s evidence of volcanic activity everywhere you look. Explore the geothermal areas and discover the unique culture of New Zealand’s Maori people. Rotorua is entertaining in any weather, at any time of the year. There is so much to see and do in Rotorua. If you are keen to visit a thermal park Wai-O-Tapu is about a 30-minute drive from town and is one of the most colourful. 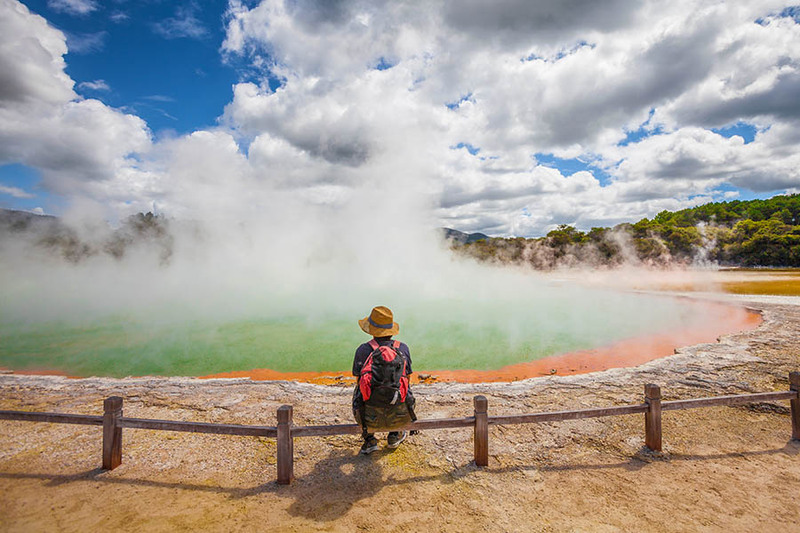 Or further afield The Hidden Valley of Orakei Korako which is accessible by boat offers bubbling hot springs, geothermal caves and geysers in a completely natural environment. In town, you can visit Te Puia, maybe the most famous of all the thermal parks – we’d highly recommend a private guide here. On your way up to Auckland, we suggest stopping off in Waitomo for something completely different – it’s less than a 2-hour drive from Rotorua. Under the green hills of Waitomo lies a labyrinth of caves, sinkholes and underground rivers. The easiest way to see the caves is with a walking or boat tour. If you’re into adventure, try the unique experience of blackwater rafting – you could crawl, swim or float through the caves on a rubber tube. Or you could abseil or zip-line through the darkness. Make the most of your last day and head to Hobbiton in Matamata – just over an hour from Waitomo and on the way up to Auckland where you’ll fly out of. After a chance to do a movie set tour and enjoy a drink in the Shire, you can head up to Auckland airport where you’ll drop off your hire car in time for your onward flight. 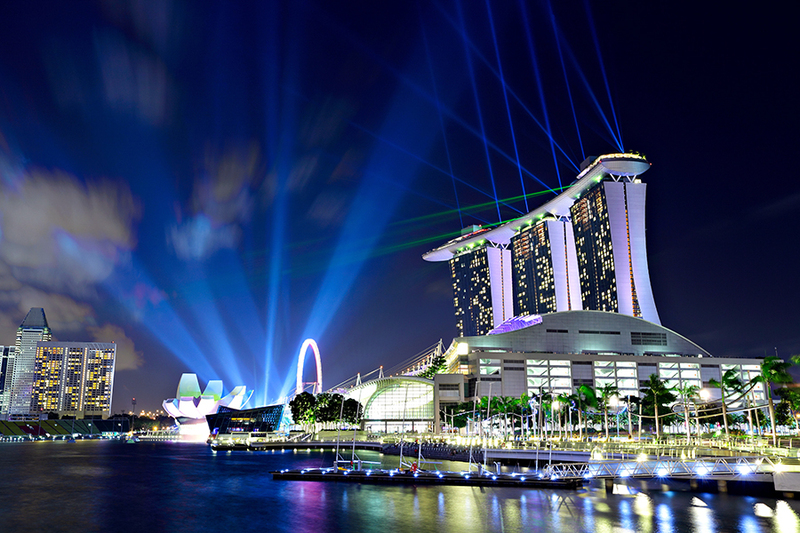 Why not add in a stopover in Singapore on the way?